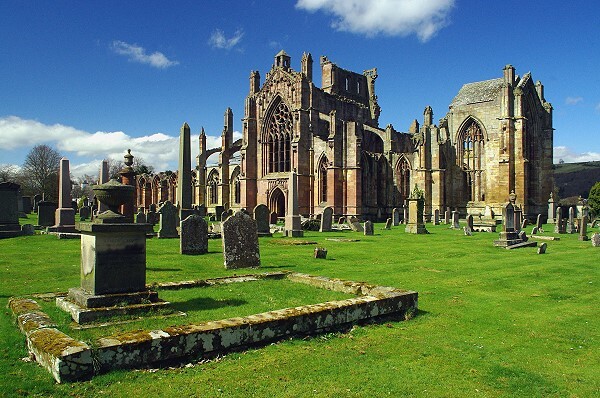 Melrose Abbey is a magnificent ruin on a grand scale with lavishly decorated masonry. The surviving remains of the church are largely of the 15th century and are of an elegance unsurpassed in Scotland. The abbey is thought to be the burial place of Robert the Bruce's heart, marked with a commemorative carved stone plaque within the grounds. Objects found during the excavation are displayed in the Commendator's House.